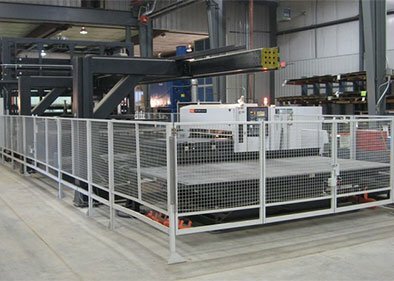 At Metal Fab Products Inc., we are proud to specialize in steel, stainless steel, aluminum, and galvanized metal fabrication with tight tolerance laser cutting capabilities. Serving Pecos, Manahans, Alpine, Midland & Odessa, TX, we have the tools and expertise to handle even the toughest projects. From laser cutting to MIG Pulse welding, we do it all. We invite you to learn more about what we can do by exploring this page and the other pages of our website. Get a sense of our oilfield welding, fabrication, our other capabilities and the machinery that we are proud to own. If you have questions, would like a free estimate, or simply want to discuss your specific project, feel free to contact us today. Special features: PC line controller for ease of use, flexibility, & minimum manpower. 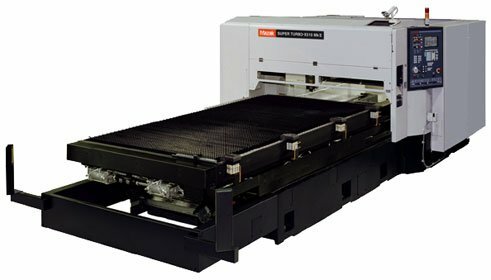 Features: Cuts wide range of materials and thicknesses at extremely high speed with wide range of automation. 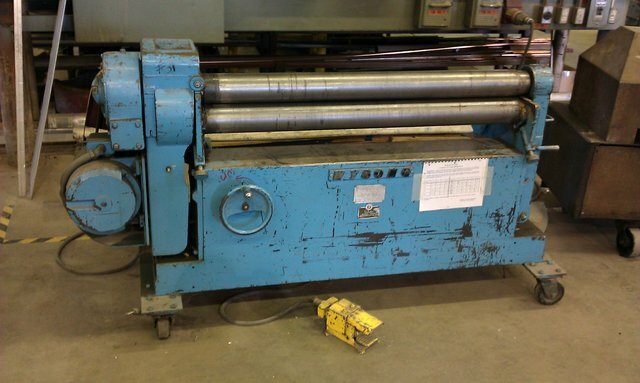 This precision shear can handle up to 12 ft. in sheet length with a thickness of 3/8 in. mild steel. Angle max 6" x 6" x 5/8"
Coper Notcher max 4" x 6" x 3/8"